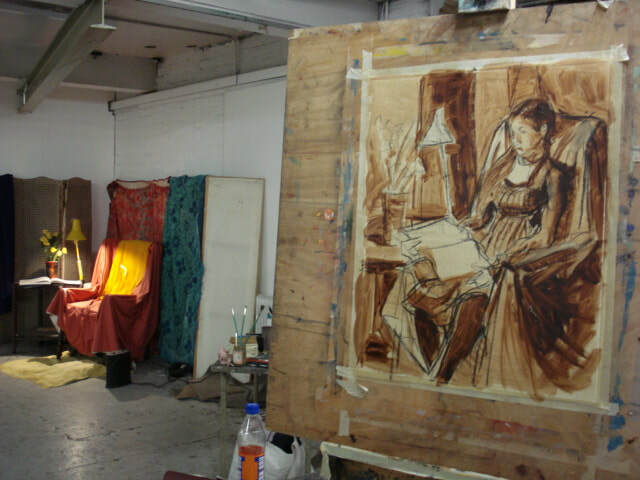 In this studio based class students learn to develop their own ways of drawing and painting the human figure. 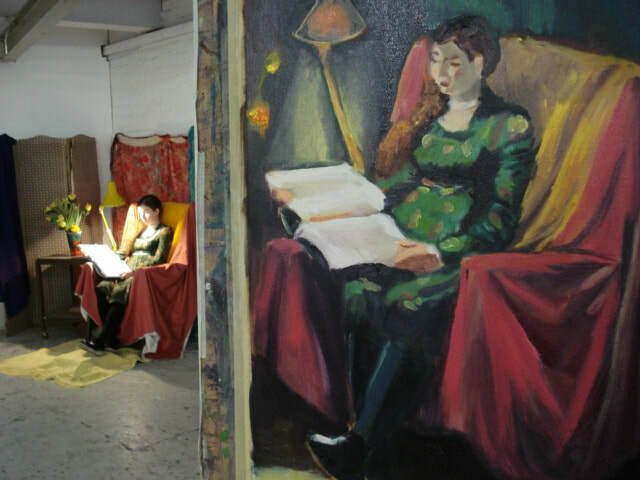 Each session begins with a slide presentation or demonstration related to the theme and subjects including portraiture, anatomy, composition, narrative and colour are explored. Working for 2 weeks on the theme 'Night Scene' provided an opportunity to work with a dramatically lit set-up and to make connections between colour and tone. Slide presentations at the beginning of each session considered the work of artists such as Rembrandt and Vuillard. Why is there a theme and do I have to stick to it ? The theme is a useful way for the tutor to introduce a lesson on some aspect of painting e.g colour, anatomy or composition. it is not necessary to follow the theme especially if you have your own ideas about the sort of painting you wish to produce. How will I know if I am making progress ? Every 6 weeks or so, there is an opportunity for those who wish, to have a review of their recent work and a discussion about what next best steps to take in the ways they approach their painting. Can I just draw ? Sometimes people don't feel ready to start painting, so it can be useful to spend the beginning of the session, or even the first few sessions drawing the model and set up. Chalk pastels are also available allowing the student to draw in colour and make some useful connections with the painting process. When can I start ? Early booking is advisable as the class is limited to 15 places and generally fills up. If there are spaces once the term has begun it may be possible to attend on a drop-in basis at a daily rate of £45 per session. Please enquire. Bookings now being taken for summer term.